Many fashion magazines are once again reporting record gains for their March issues, which are second in importance only behind September. Fashion magazines are the exception to an overall tepid print magazine market, which has seen advertising trending down as marketers shift spending to digital media. For all of 2013, print ad pages declined 4.1 percent from 2012, per Publishers Information Bureau, a service of MPA—the Association of Magazine Media. Yet print is still an important medium for apparel, beauty and luxury advertising, however, which is the bread and butter of fashion magazines. 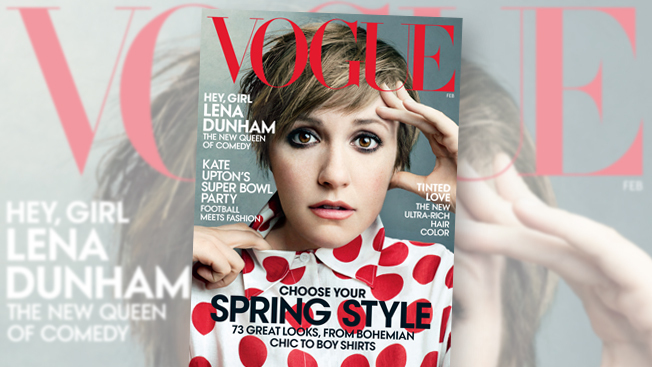 Vogue, as usual, led the category in terms of total ad pages, with 470, a 3 percent increase over last year's March. Anna Wintour has been doing double duty as editor in chief as well as artistic director of Condé Nast for the past year, and while the magazine ceded ground to Time Inc.'s InStyle last year, Vogue doesn't seem any worse for it now; this was the title's fifth March increase in a row. “The growth continues to come from our core categories—everything from fashion in all countries…beauty and technology,” vp, publisher Susan Plagemann said. Second to Vogue in terms of total ad pages was InStyle. InStyle didn't skip a beat, despite a publisher change last year. This was Karin Tracy’s first March issue, and it was the largest in InStyle’s 20-year history, with 367 ad pages, up 2 percent. This is also InStyle’s biggest first quarter in six years, with 574 ad pages altogether. Helping the title’s performance was its anniversary year, which it will recognize with a digital hub launching in February, as well as luxury advertising, Tracy said. “I think the halo of it is terrific,” she said of the milestone. Fashion and luxury were also strong categories for Hearst Magazines, which touted its biggest March issues for Harper’s Bazaar and Marie Claire, as well as Elle’s biggest since 2008. Elle was Hearst’s heavyweight, with 342 pages, up 3.3 percent, with new business wins from Givenchy, Louis Vuitton, Dior and others. Bazaar was close behind with 334 pages, up 1.3 percent, with Tag Heuer, Neiman Marcus and Roberto Cavalli among new accounts. Marie Claire notched 209 pages. Cosmopolitan, which has put a strong focus on fashion under new editor Joanna Coles, was essentially flat with last year, at 144 pages. In other major gains, Condé Nast's W posted its biggest March since 2008, with ad pages up 10 percent to 230. Among the core categories, fashion and beauty advertising were up 6 percent and 59 percent, respectively. Glamour, which poached InStyle’s highly regarded publisher Connie Anne Phillips last year, is starting to rebound under its new leadership and recent hires on the business side. March ad pages were up 8.2 percent to 170 against a robust first quarter, which was up 12 percent overall. —Vanity Fair carried 264 ad pages in March, an increase of 1 percent. —Allure was up 10 percent, to 135 ad pages. —Teen Vogue’s March was down 22.3 percent to 97 versus last year, when it benefitted from its 10th anniversary. —Lucky was down 14 percent to 88 in March. Lucky has been in transition with last year’s appointment of Eva Chen as editor and a Wintour-guided redesign. Lucky svp and general manager Gillian Gorman Round said the book is still working on getting global fashion advertisers to consider the magazine, while mass beauty advertisers have cut back. She said Lucky also was hurt by its on-sale date coming two weeks before the competitive set and that going forward, the on-sale date will be in line with the rest of the set.